If you’d like to get in touch please use the contact link above or email me directly. Alternatively, you can send snail mail to Sibéal Turraoin, An Rinn, Dúngarbhán, Co. Phort Láirge, Éire (Ireland) or Borgarbraut 6, 801 Selfossi, Ísland (Iceland), or find me on Instagram, Facebook, LinkedIn and other social media. If you’d like to collaborate take a look at my media kit for some useful information. 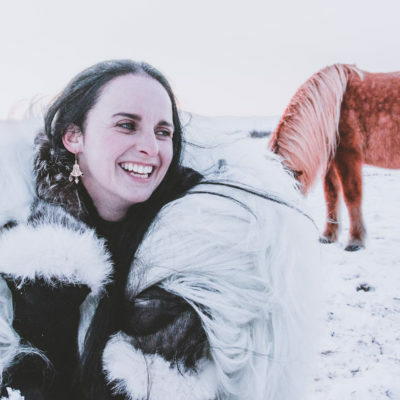 I am a travel and landscape photographer based in Iceland who focuses on solo, independent female travel in the Arctic and Ireland, along with their history, language and culture. As a female traveller, who is usually solo, I document my travels across five continents as I experience them; through landscapes, details, and people. I usually shoot on a Canon 70D, but I also use or have used Canon AE1, 5D, compact, iPhone, Lomo or Rolliflex. As the first Irish woman to transit the Northwest Passage, I sailed on a 44ft gaff rigged yawl named Young Larry as part of a 3-4 man crew from Dingle, Ireland along Greenland’s western coast, through the Canadian Archipelago and the Bering Strait to Kodiak, Alaska from June to October 2010, on which you can find more links below. You can find my prints and books for sale online here and on Amazon. I also have written for several publications and guides, and for travel tips and to see what I’ve been up to lately go straight to my Blog, or else browse through the galleries through the main links to see my portfolio. The Irish Times: What’s it like to live in a properly cold climate?